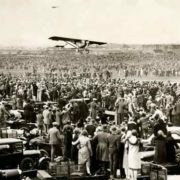 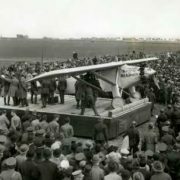 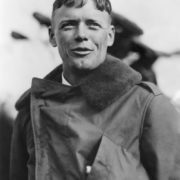 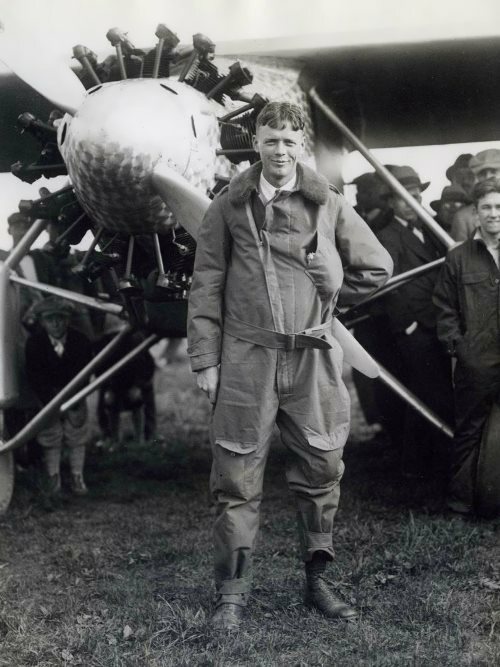 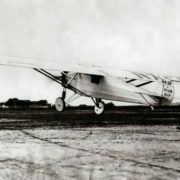 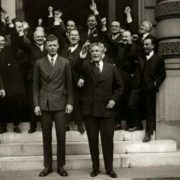 On May 20 and 21, 1927, Lindbergh made the flight from New York City to Paris in 33 hours and 30 minutes and became an instant hero in the United States and Europe. 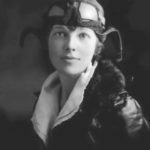 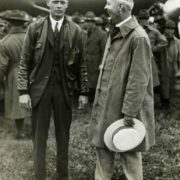 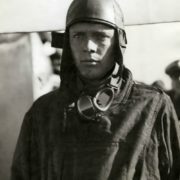 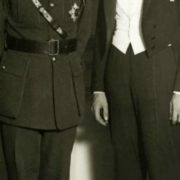 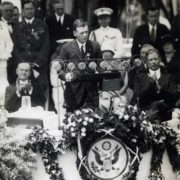 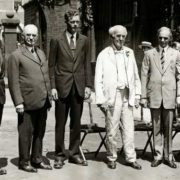 Lindbergh won the $25,000 prize and received the Congressional Medal of Honor, the French Chevalier Legion of Honor, the Royal Air Cross (British), and the Order of Leopold (Belgium). 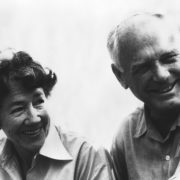 In 1929 Lindbergh married the writer Anne Morrow. 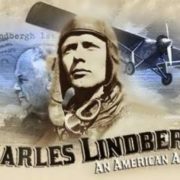 The Lindberghs made many flights together. 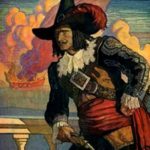 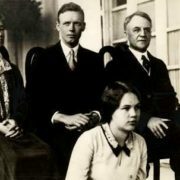 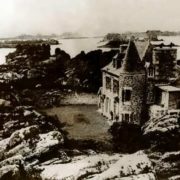 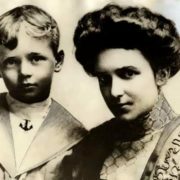 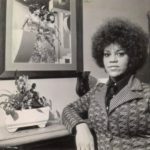 In March 1932 their infant son was kidnapped. 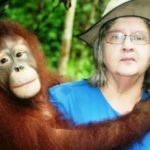 A $50,000 ransom was paid, but the baby was found dead. 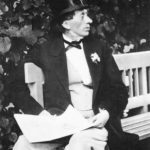 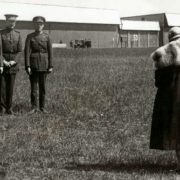 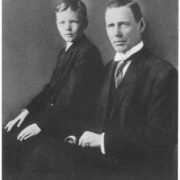 After the execution of the convicted murderer in 1935, the Lindberghs moved to Europe. 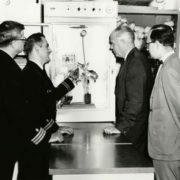 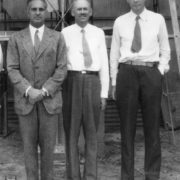 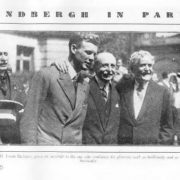 In France, Lindbergh worked with Alexis Carrel, an American surgeon and experimental biologist who in 1912 had won the Nobel Prize in physiology or medicine. 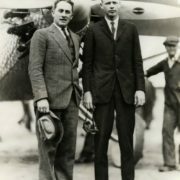 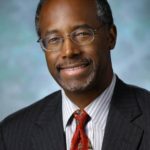 In the 1930s he was on the Board of Directors of Pan-American World Airways. 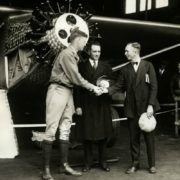 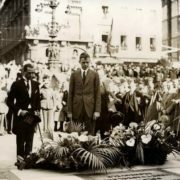 While in Europe, Lindbergh toured the aircraft industries of France and Germany. 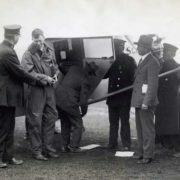 Hitler’s Nazi regime feted the aviator and impressed him with the technological superiority of its Luftwaffe. 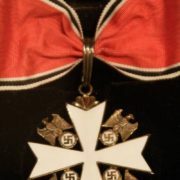 In 1938, Luftwaffe Commander Hermann Goering presented Lindbergh with the Service Cross of the German Eagle. 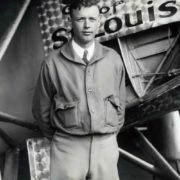 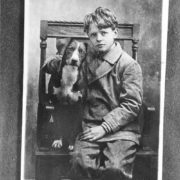 Lindbergh was against World War II but he took part in it. 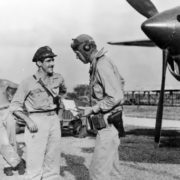 He flew 50 combat missions in the Pacific war zone. 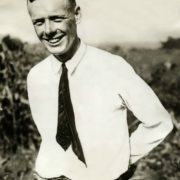 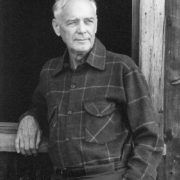 Lindbergh wrote the books We (1927) and The Spirit of St. Louis (1953), for which he received the Pulitzer Prize. 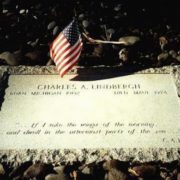 He was a co-author of Carrel’s book Culture of Organs (1938). 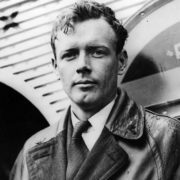 He died of cancer on August 26, 1974 in Hawaii. 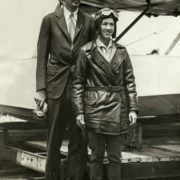 After her husband’s death, Anne Morrow Lindbergh continued to publish books of her diaries and letters.